It’s no secret that cloud storage company Box is preparing for a public offering in the next year. Part of the company’s growth strategy for the year is being able to go after large enterprise clients. And in order to land these account and solve cloud storage problems for companies with 100,000 or more users, Box has to ramp up its security offerings. 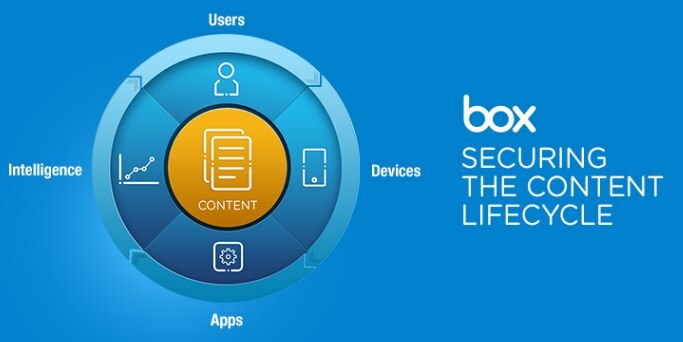 Today, Box is debuting a number of new enterprise-grade security features and product integrations that aim to protect the entire content lifecycle across users, devices and apps. CEO Aaron Levie tells us that there are two main features that Box is announcing today that enhance the company’s existing security framework. First, Box is debuting the ability to lock down content by the device that employees are accessing. Called “device pinning,” this gives companies the ability to pin content to individual devices, and also revoke access to content from specific devices. Another area where Box is doubling down is on admin controls for external collaborators. Box is introducing a new control that allows admins to restrict individual users from creating externally shared folders. Box is also introducing an enhanced security detection algorithm, which will automatically detect and prevent unexpected user logins. Additionally, via a set of new partnerships with security startups, Box is also providing a layer of security at the app level. Box is announcing new partnerships with Code Green Networks and CipherCloud to allow admins to scan and identify restricted content and secure that information in Box’s shared folders. Users can identify when a new file is uploaded to Box, at which point the services will download and scan the content. Both services identify dangerous content and alert an admin to place the file in quarantine for added data protection. Via an integration with GoodData, Box users will be able to access dashboards for content management, measuring top-performing content, security risks, adoption and engagement. Lastly, Box will be offered as a business application on Samsung’s security software KNOX. “We’ve built a deep expertise in securing information across the entire content lifecycle, and we’re investing aggressively in new product innovations and integrations that enable all new controls and intelligence,” says Levie. Box already has a number of large businesses, including Electronic Arts, McCann Worldgroup, NBC Sports, Netflix and Sunbelt Rentals, using the company’s cloud storage platform. But more security controls will mean that more enterprises will consider Box’s storage platform in the future as a viable option. And that means more revenue for Box. In the future, Levie says that Box will also look to provide a deeper integration with on-premise systems. He explains that Box, in some cases, can’t replace an entire infrastructure but can easily be a companion cloud option for some large companies.